This year’s Fall Team Championship was extremely competitive. 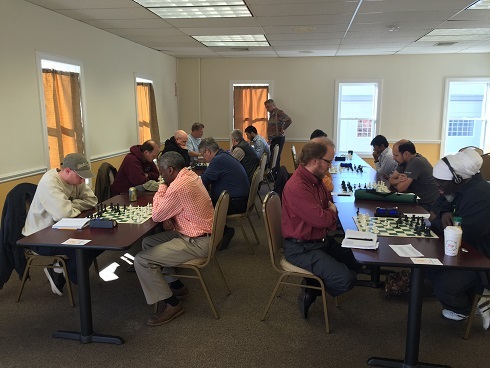 Every team boasted a master on board one and all the teams had an average rating within 60 points of each other. This led to many fascinating match ups. 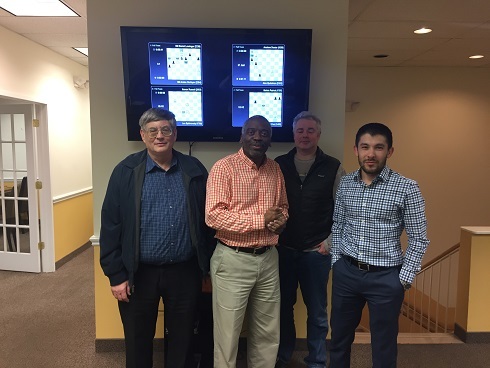 Team ‘No Draws Accepted’ comprised of NM Arslan Otchiyev, Andrew Dexter, Leo Bykhovsky and Melvin Patrick got off to a blazing start with a perfect 3/3 match score. Already a full point ahead of the field, they were virtually guaranteed at least a tie for first regardless of the results of round four. Despite a final round loss, no team was able to catch them and ‘No Draws Accepted’ won the tournament by a full match point, earning $300! 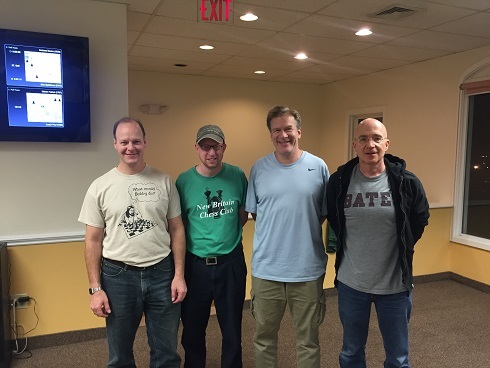 In second place was the team ‘New Britain Chess Club Officers’, comprised of NM Derek Meredith, Douglas Fiske, Norman Burtness, and Robert Cyr. Thank you to everyone who participated and made this yet another very memorable event at CCFC.